We have the 'sugar-high' of Christmas and the next day the 'so sad' feeling that Christmas is over. This is made worse by the extended analysis of everything that happened last year, as though it will close the door on the year that is passing. So much Christmas Past right after Christmas has passed! Mayim Bialik, of the Big Bang, has posted on social media about her 2 cats that are using the bed as a dominance battleground, and waging peeing and pooing battles. Her post made the top news this week. You can see it HERE. How many people tried to cheer her up with comments? More than 10,000 people. The screen shot in the article showed 91,970 likes. New Years Eve is the only acceptable time to wear body glitter without being mistaken for a stripper. I have only one resolution. To rediscover the difference between wants and needs. May I have all I need and want all I have. 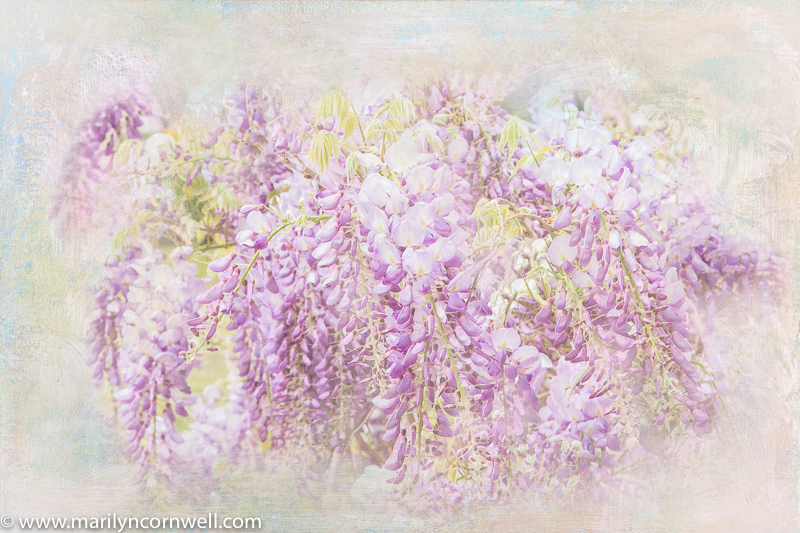 Our picture today is a flowering wisteria - it looks like fireworks for the New Year.